Throughout the years, employees’ desires and demands have evolved, and it can be challenging for companies to keep up. Employers are bombarded with a wide range of trendy tips for keeping different generations of workers happy. But when it comes to attracting and retaining top talent, employers need to understand what employees really want from a company. While we all know that competitive pay and good benefits factor into an employee’s decision to join and stay at a company, there are many other overlooked desires that are more important than a paycheck. To truly enjoy their jobs, employees must feel that their employers respect them and will provide them with what they need to be successful in both their professional and personal lives. The 2018 Global Talent Trends study by Mercer revealed a few employee desires that many organizations seem to be missing. The study took a multi-perspective approach and collected input from 800 business executives and 1,800 HR leaders, as well as 5,000-plus employees across 21 industries and 44 countries around the world. Mercer gathered these voices to analyze how both employers and employees are reimagining the future of work. The study identified top talent trends, which can be useful for companies who are trying to stay ahead of the game when it comes to employee satisfaction. Among the findings, Mercer identified three factors that employees and job candidates are looking for in a company. This included permanent workplace flexibility, a commitment to health and well-being and working with a purpose. It’s clear that the strict nine-to-five workday is outdated – and it won’t help employers attract or maintain today’s top talent. The 2018 Global Talent Trends study found that 51% of employees wish their company offered more flexible work options. No matter the industry, flexibility is incredibly important to employees and job seekers across the nation. Companies that offer employees flexibility in the form of telecommuting, flexible schedules and unlimited PTO help employees maintain a positive work-life balance. Flexibility has also been shown to reduce workplace stress, boost mental well-being and encourage productivity. The demand for flexible work environments continues to grow. A 2016 survey by FlexJobs found that working parents ranked workplace flexibility ahead of salary. A whopping 84% of working parents said work flexibility is the number one most important factor in a job, with work-life balance ranking in as a close second at 80%. While flexible hours and schedules are an important aspect of a flexible workplace, the 2018 Global Talent Trends study noted that flexibility comes in more forms than just work arrangement. Mercer claims that flexibility also involves rethinking what work is done, how it is done, and by whom. The trouble with both of these forms of flexibility is many employers still require employees to ask permission to act on these flex benefits. Mercer claims that companies need to adopt a more permanent arrangement to workplace flexibility. To do this, employers need to reinvent their flexibility policies and address the barriers surrounding flexible working. For workplace flexibility to become a permanent solution, employees need to know that they are encouraged to act upon all flex benefits. Mercer suggests that employers work on developing a culture of trust, as well as support remote working by providing the technology that remote workers need to get their job done. Workplace wellness initiatives do more than just promote healthy habits. They show employees that their employers truly care about their health and well-being. All employees have the desire to be treated as human beings with human needs – not robots. The 2018 Global Talent Trends survey found that one in two employees would like to see a greater focus on well-being at their company. This includes an emphasis on physical, psychological and financial wellness. Employees desire managerial support for their physical and emotional well-being. A simple solution for this is implementing a workplace wellness program. To be successful, employee wellness programs need to be customized and include a wide variety of wellness initiatives. Wellness challenges, onsite health screenings and regular lunch and learn sessions are examples of wellness initiatives that should be implemented year-round. It’s not enough for employers to simply offer employees the chance to participate in wellness activities. To truly make a commitment to employee health and well-being, employers need to lead by example and create a culture of wellness in their organization. Employers should offer employees mental health days, opportunities for stress relief and opportunities for physical activity. Investing in standing desks, weekly meditation programs or even an onsite gym are all ways that employers can fulfill employees’ desire to work for a company that promotes employee well-being. Without a sense of purpose, it’s difficult for employees to connect with their work and their company. Working with a sense of purpose boosts employee motivation, productivity, morale, and overall job satisfaction. According to Mercer, thriving employees are three times more likely to work for a company with a strong sense of purpose. However, only 13% of surveyed companies offer an employee value proposition (EVP) differentiated by a purpose-driven mission. Keeping up with the desires of your workforce can be challenging – no one will argue with that. However, identifying your employees wants and desires will greatly benefit your company and the bottom line. 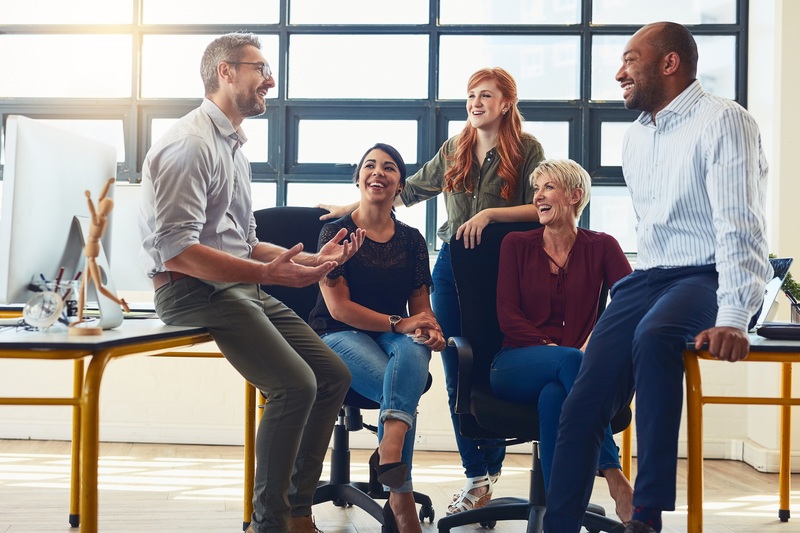 By providing simple solutions such as flexibility, a focus on wellness and working with a purpose, employers can significantly improve the satisfaction of their employees. Alan Kohll is the President and Founder of TotalWellness, a tailored corporate and health wellness services and 7,000 health professionals to help you deliver better wellness programs to your employees. 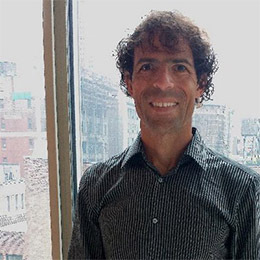 He’s a USA Triathlon Certified Race Director and Triathlon Coach, and holds a Bachelor of Science in Management from Tulane University. Alan been featured publications such as the Huffington Post, Entrepreneur and Forbes.